In a unique collaboration, a classical string quartet and a hip hop DJ prove that opposites attract. 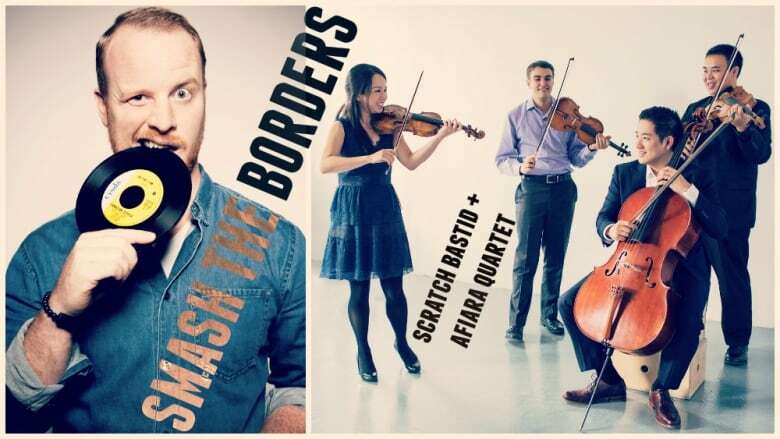 The Afiara Quartet and Skratch Bastid want to smash the border between classical music and hip hop. The artists join forces in studio q to perform from their new record, Spin Cycle, and sit down with Shad to discuss the magic of the genre-crossing mash-up. The mutual respect is palpable as the quartet and the DJ explain what drew them toward one another — and although some may see them as an unlikely pairing, the artists point out that they have much in common. "We have a palette of colours and sounds, and he has whole crates of samples and recordings that he can use,"says cellist Adrian Fung, adding that the DJ is "touching sounds" when he scratches. "That's kind of what we're doing when we come to our strings. There's a tactile sense of how we make sound." WEB EXTRA |Watch the trailer for Spin Cycle below, and tell us: what do you think of this cross-pollination? How did Willie Nelson become the man he is? It's a long story.